An Australian agronomist, Steve Capeness along with his Queensland-based firm Nutri-Tech Solutions has introduced a method of ‘nutrition farming’ for agriculture sector in India. It said that the motive to come up with such invention was to help farmers deal with issues like costly inputs and hardening of soil. After a long 23 years of research, Capeness and his company were successful in developing a holistic farming procedure for soil and plant health. According to the Australian agronomist, the therapy helps in producing nutrient-dense crops with high level of resilience which can show better tolerance to external attacks like pests or diseases. Capeness said “We provide our protocol on two principles of soil balancing and plant therapy. This applies to all kinds of food and non-food crops, including horticulture crops. Soil enhancement and balancing process is a 3-5 year process, while plant therapy is a nutrition programme that goes on every season”. Encouraging the zero-residue farming concept, he said agriculture in India has a great potential to tap nutrition farming for key crops for instance, cotton and horticulture crops. These types of practices have positive implications for soil structure enhancing its productivity as well as smoothness that is usually missing due to extreme use of nitrogen-based fertilizers and DAP on Indian farms. 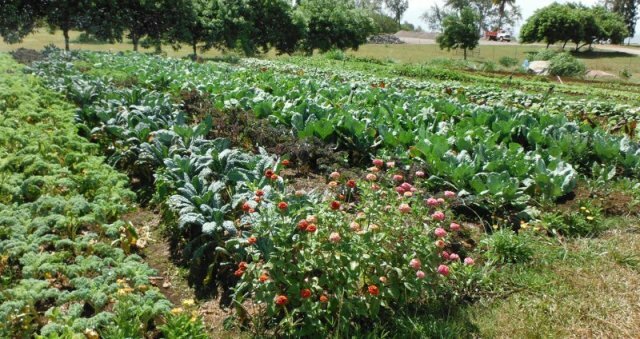 Capeness underlined that “Nutrition farming is gaining attention from a variety of people as it helps the plant reach its genetic potential. This gives better yield and increases soil productivity.” After successful implementation of this technique in various parts of Gujarat, the company is planning to bring similar technology of seed coating.